Answers and actions in 2 hours flat! 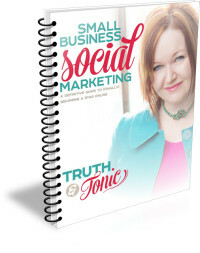 Whether you are just starting out with your small business, growing but wondering what to do next, or even thinking of packing your business in and want a fair assessment of this decision, the TRUTH&Tonic Invigorator will help you immediately. This session is ideal if… you want to be told exactly what to do, why you need to and how. Bazinga! All solopreneur clients start with this Invigorator session – it’s how we get to know each other, like going on a really good date! Many clients find this session is the only time with Kim they need to get focused. Some want more help after. Both options are cool. No upselling – it is what it is! You decide how you want to roll with the action plan customized for you, based on your comfort level to rock your marketing. showcase how you can shine as your best self in this loud, busy world. The Invigorator is designed to get in touch with your core motivation for being in business fast, and drive decisions to support that with rapid fire attention to what matters most, within the resources you have. This makes being your awesome self so much easier. I am ready to take action and just want someone to actually tell me what to do that will get me the success I want. I feel stagnant and confused, but I want to get unstuck in a meaningful way, fast, and shift into growing my bigger dreams without wasting another week, month or, ugh, year. I want to fast track to self-hero status! I am overwhelmed and my thoughts are too scattered to focus or function. Squirrel! I want to hear the truth about why I am stuck and I want to trust someone pragmatic. Agreeing just to be nice is difficult for Kim, and I like that. I get that to be successful, I need to find the fun in marketing and selling myself (ugh). I love that Kim finds it fun (weird chick) and can teach me how. You get to pick from two options. You Prepare Like You Mean It: You’ll receive a list of questions to prepare for the meeting that helps you audit “what you know for sure” about your business – things like what you love about your work, what you hate, what is working and what’s not and more. You do not need to be paralyzed by what you don’t know. That’s my job to help figure out! We Quickly & Deeply Jive Talk: we’ll meet live or by Skype. We’ll spend 2 hours in an intense conversation about your business where we look at your prep notes, analyze the good and not-so-fab in your life and business, and create a realistic action plan to meet your goals. You’ll be able to start acting same day in new ways to rock your reality. “must do” action steps, cutting what’s not working (sometimes this is hard) and marketing insights around your core business strategies that directly will impact your ROI. any other relevant marketing related advice. Interested? Contact kim@truthandtonic.com to book your session. Want to learn more about Kim first? No problem. Join my list now. If you are ready to shake it up, get unstuck and shift forward fast, contact Kim to book your appointment Tuesday, Wednesday or Thursday mornings (some exceptions are available). I’m a hard sell, especially when someone is trying to sell me on a better way to build my business. Meeting with Kim was one of the smartest things I have done. We walked through my new business, openly discussed my goals, my strengths and my weaknesses. Kim was able to give me clarity and directed purpose. The information I now possess is truly valuable and it’s in a printable report I can continually reference. If I don’t follow Kim’s advice, then shame on me. It is not often I am left speechless. However, Kim was able to facilitate the opening and closing of my mouth like a fish. I had a vision, but had mental roadblocks. I always knew she was a gem in a mountain of regular rocks and the Accelerator Program defines that. On a professional level, Kim’s extensive self-branding, marketing knowledge and professionalism shines through. However, her mad scientist kind of excitement, and sheer point blank honesty, is what all entrepreneurs need on a human level. These attributes coupled with the crystal clear understanding of her clients’ needs has clarified what I needed emotionally, and on paper, to move forward. I now have a clear map to pursue my vision for my next exciting challenge – and I am proud that she is a part of its creation. The Accelerator Program exists for a reason! If you want something done, Kim delivers. Not just a few words of advice on a few sheets of paper, but a comprehensive, clear and concisely mapped out direction to make your vision a reality. She really and truly wants you to succeed, and her passion for her work shines through.